POPAI Membership Year runs January - December. Is your Membership active? Probation Officers look at the POPAI Jobs Page regularly. Post a job. Legislative Updates, Department Policies, and more. Crossroad Child and Family Services, Inc.
Two men are facing felony charges after being found with $3.5 million worth of marijuana and THC-filled vape cartridges during a traffic stop last week in central Indiana. Danny J. Luttrell II and Brandon M. Pierson, both 27, were each charged with dealing marijuana, Indiana State Police said. At 11:33 a.m. March 13, Luttrell and Pierson were traveling on I-70 eastbound, just outside of Indianapolis, when a state trooper pulled them over for “following too closely,” state police said. The trooper smelled an aroma and suspected criminal activity during his conversation with the pair. During a subsequent search, troopers discovered 250 pounds of marijuana and 50,000 vape cartridges in the cargo storage area of the truck, police said. The street value of the marijuana is estimated at $2.5 million, while the vape cartridges were reportedly worth $1 million. Luttrell and Pierson were taken into custody and transported to Hendricks County Jail. INDIANAPOLIS (AP) — The Indiana Supreme Court is hearing the case of a woman who refused to unlock her cellphone for police in a stalking investigation. Attorneys in the case say the court’s decision could undermine privacy interests and constitutional rights, or public safety and law enforcement. The Supreme Court will hear arguments next month in a case involving 37-year-old Katelin Seo of Carmel, who was accused of stalking and harassment in 2017, the Indianapolis Star reported . Seo bonded out of Hamilton County Jail in July 2017, after being charged with stalking a man she dated, according to court records. She called the man the day she was released, despite an order to never contact him again, court records said. Later that month, the mother of children who attended the school where Seo worked told police they had received menacing texts from Seo, the documents said. Police obtained search warrants for Seo’s phone, but she refused to give them the passcode. Her attorney, William Webster, invoked the Fifth Amendment right against self-incrimination, arguing that forcing her to provide the password was essentially forcing her to testify against herself. The Indiana Court of Appeals ruled in Seo’s favor last August. Stephen Creason, a chief counsel at the state attorney general’s office, questioned this ruling. In a court filing, the Indiana attorney general said the Fifth Amendment includes a “foregone conclusion” doctrine that says the state can compel someone to do something if it already has knowledge of the information and can prove the facts through other means. The phone belongs to Seo and she used it to speak to the male victim, the state said. Webster argued that investigators were not specific enough about what they expected to find on the device. Stephen Creason, chief counsel of the state appeals division, disputed that notion. “We’ve been specific enough that a judge executed a search warrant,” Creason said. Von Welch, director of Indiana University’s Center for Applied Cybersecurity Research, said the case has massive implications for law enforcement and what they are able to do to bring criminals to justice. “We’re wrestling right now with how much security (we want) around our computers — do we want to make that as strong as possible — and realizing when we make security that protects citizens from criminals, that also makes it harder for law enforcement,” Welch said. Seo has since accepted plea deals in the stalking cases. Webster said that illustrates the phone isn’t needed. Records show Seo is serving prison time in an unrelated case. 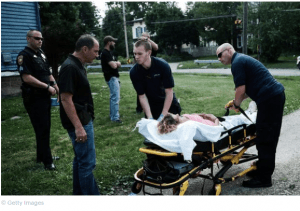 Indiana teachers were shot with pellets for a drill. Are active-shooting trainings going too far? ‘Active-shooter’ trainings are becoming a remarkable new normal. 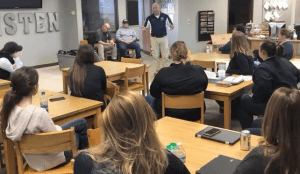 An active-shooter training in Indiana took a gruesome turn earlier this year when sheriff’s deputies shot elementary school teachers in the back with plastic pellets, mock-execution style. The teachers union detailed the incident this week, highlighting the extreme and potentially ineffective measures many schools have undertaken to avert future mass shootings. The teachers union detailed on Twitter how teachers heard their colleagues scream from getting shot. Lake County has sued Indiana in a long-running dispute about who is responsible for defending probation officers accused of wrongdoing in their official capacity. Filed late March in Porter County Superior Court, the lawsuit names the state of Indiana, the office of the Indiana attorney general and the Lake County Probation Department as defendants. It asks a trial court to determine whether probation officers ultimately work for the county or the state. The question isn’t merely academic; potentially millions of Lake County taxpayer dollars are at stake. That’s because, under current practice, the county is on the hook for the expense of defending probation officers and paying out civil damages to their accusers. It should be the state of Indiana that is liable for damages against probation officers, argues Angela Jones, a Munster-based attorney handling the lawsuit on behalf of the county council and board of commissioners. “The probation (department) employees are under direct control of the judges, and judges are employees of the state,” Jones told The Times on Wednesday. The Indiana attorney general’s office did not respond to a request for comment by press time. The county’s lawsuit was motivated by a raft of pending litigation involving the probation department. In one case, a Gary woman sued Lake County in 2015, alleging physical and mental injuries at the hands of her probation officer, Miroslav Radiceski, and department officials. Radiceski had earlier pleaded guilty to one count of official misconduct after being indicted on charges of obstruction of justice and sexual battery against the woman. 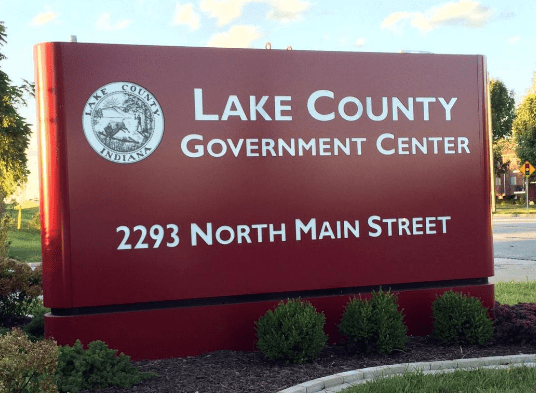 In such cases, Lake County is responsible for any compensatory or punitive damages awarded to the plaintiffs. The county aims to change that arrangement by showing that probation officers fall under the Indiana court system for the purposes of official liability. If successful, the case could set a precedent for other counties in the state, Jones said. “This issue is very ripe — it hasn’t been determined (by the courts),” she said. “We’re the first ones that have asked for a determination. 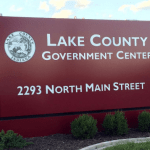 Lake County opted to file its action in Porter County court in anticipation of a change of venue from Lake County Superior Court, according to Jones. “We were trying to take a step out of the process,” she said. The county’s lawsuit also names Lake County Superior Court Judges Salvador Vasquez, Clarence Murray, Diane Boswell and Samuel Cappas due to their affiliation with the probation office. In the Hennepin County program’s first year, those who received the optional text and email reminders sent one day and three days before an appearance were about 30 percent more likely to show up, according to court data. What does it mean to listen? Is it the passive process of taking in sound waves? What about absorbing the context of words and the feelings behind them? When you focus on the person and engage with their message, you move from recognizing words to understanding the feelings and motivations behind them. This includes following up with questions if needed. It’s also about knowing when to stay silent. Empathic Listening is a dynamic and compassionate process that calls for more than taking in someone else’s words. You’re communicating with that person as well. You’re showing that you care about them, their thoughts and feelings, and are willing to take the time to hear them out. Drug court, it pays off. An Indiana University School of Social Work professor’s evaluation of Monroe County’s 20-year-old Drug Treatment Court found that participants are much less likely to commit other crimes than drug offenders who do not participate in drug court. While 54 percent of non-drug court participants got arrested again, just 18 percent of those in drug court committed further crimes. What is called the recidivism rate has decreased dramatically in recent years, associate professor John R. Gallagher’s study showed; it was 32 percent in 2014 and 18 percent as of 2019. More participants are finding success in drug court as well. In 2014, 54 percent graduated. In 2018, the graduation rate was 66 percent. Women are more likely to succeed than men, he found, and married people are more successful in drug court as well. The study surveyed 116 drug court participants and 54 other drug offenders who were eligible but chose not to participate in drug court. The study revealed that drug court personnel, and the judge in particular, play a vital role in helping participants find a way to address and end their addiction to drugs. “Respondents felt that praise from the judge was one of the most helpful incentives they received,” Gallagher wrote in a summary. Monroe County Chief Probation Officer Linda Brady said the evaluation confirmed some things and provided insights directly from people in the drug court program. The jittery, delusional potheads of the old movie “Reefer Madness” have prompted eye rolls and chuckles over the years, but a new study argues that the cult classic might contain a kernel of truth. LOUISVILLE, KY (WAVE) – One of Kentucky’s Probation and Parole offices in Louisville was shut down after an officer came in contact with fentanyl, WAVE 3 News has learned. According to the Department of Corrections, the suspect, Wade Carr, was reporting to the District 18 Probation and Parole Office on Stephen Drive off Dixie Highway when he emptied his pockets to go through security. The fentanyl was in some type of compact. One officer started feeling the symptoms from the drug immediately and was rushed to the hospital. Two other officers were also transported as a precaution. Louisville Metro police were called to take possession of the drugs. The Probation and Parole office was shut down Wednesday to be decontaminated the same day. Carr was cited for wanton endangerment. All three probation officers have been released from the hospital. Philadelphia District Attorney Larry Krasner announced Thursday that his office will seek lower terms of probation and parole when making sentencing recommendations and negotiating plea deals. Krasner already has sought shorter sentences, charged crimes at a lower level, and reduced reliance on cash bail for low-level offenses. Now he hopes to address “mass supervision” of people on probation and parole, report Philly.com, the Philadelphia Tribune, Fox 29 and NBC Philadelphia. A summary is here.